Enjoy their signature Bonchon fried chicken, and many other quintessential Korean food classics. 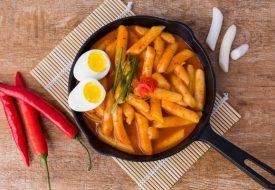 Come October 2018, popular K-food chain Bonchon doled out their new and refreshed menu. 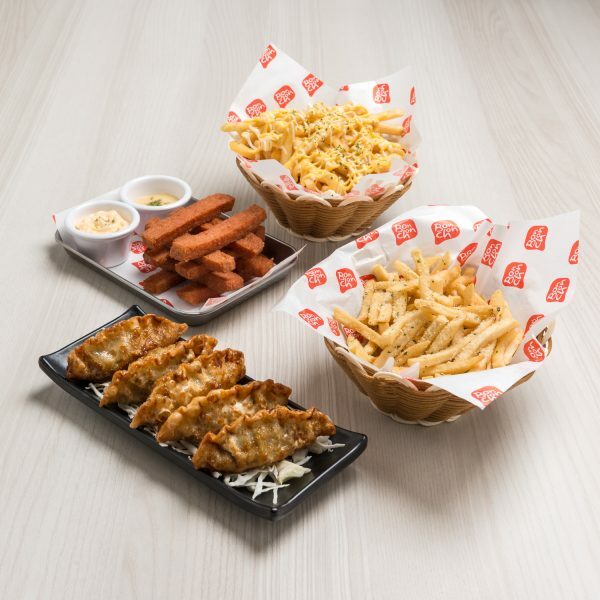 In addition to their famous Bonchon fried chicken, the menu has now expanded to include a number of Korean comfort food dishes, including stews and European-inspired light bites. 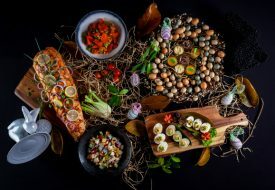 Their appetizer offerings are pretty standard and would pair well as a side to an alcoholic beverage or two. We’d recommend the Luncheon Meat Fries ($9.90) that comes with two kinds of dipping sauces, and also the chef’s recommendation Cheesy Fries ($8.90), which comes drizzled in savoury American cheese sauce. We’re all familiar with the typical rice balls but how about deep-fried rice balls? 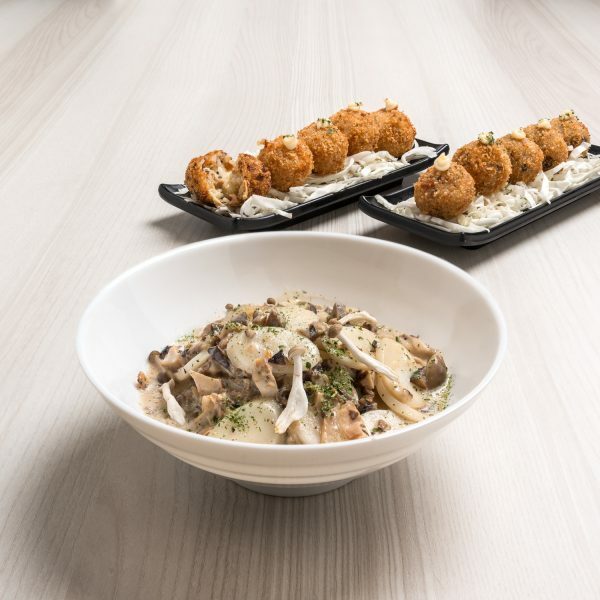 The newly revamped menu includes a new East-meets-West twist on the light bites, featuring Breaded Kimchi Rice Balls ($7.90) and Breaded Mushroom Rice Balls ($8.60). 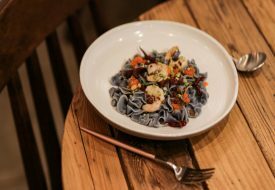 Think of it as a cross between a Korean and Italian rice ball. The Truffle Cream Tteokbokki ($15.90) comes with an assortment of sautéed shimeji and shiitake mushrooms in a cream sauce. If you’re craving something decadent, this will definitely hit the spot! 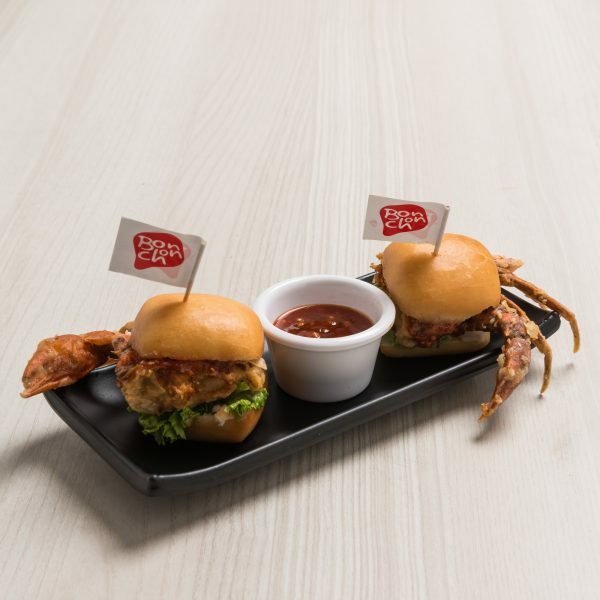 Also, don’t forget to give their Bonchon Chilli Crab Sliders (2 pcs-$10.90) a try! Served with a sweet and spicy homemade chilli sauce and would be perfect if you’re looking for a light bite to go with your fried chicken and beer. New drinks on the menu include the Gangnam Caramel Shooters ($15)- flavoured with creamy caramel and a hint of salt, and the bubbly Sojuto ($12)– a twist on a typical mojito featuring Soju and comes in 3 refreshing flavours.